Home Scholarships/Grants/Internships Updates Apply for Google EMEA AdCamp Program in Europe, Middle-East or Africa. 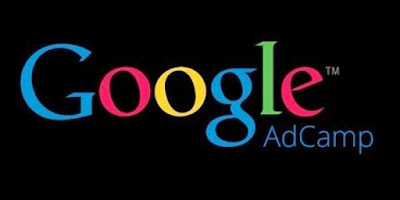 Apply for Google EMEA AdCamp Program in Europe, Middle-East or Africa. Current university students will be selected to participate in an all-expense-paid AdCamp experience at one of Google’s offices. Participants will get the opportunity to meet with Googlers and interns, compete in a case competition, participate in social activities and get an inside look into helping small and medium businesses thrive. AdCamp program is open to all current or recently graduated university students from across Europe, the Middle East and Africa (EMEA). Participants will have the chance to get a rare 360-degree look behind the scenes at Google, develop a professional network, gain new skills, experience our culture and learn more about career opportunities within our Global Business Organisation in a fun and inclusive environment. Be a current student pursuing a Bachelor’s or Master’s degree. Be a current student in a country in Europe, Middle-East or Africa. Demonstrate experience or internships in sales, customer support, account management, marketing or consulting. Be fluent in English, as all AdCamp program activities will be conducted in English. Students who identify as any ethnic minority in their home country, socially or economically disadvantaged, are a person with a disability or are part of any other group that is historically underrepresented are strongly encouraged to apply. Students who have participated in a Google program (AdCamp, BOLD, Google Student Ambassador program) or Google internship in the past are not eligible to apply. Proactive, independent worker with the demonstrated capacity to lead, motivate and work well with others. Fluent in English, as all AdCamp activities will be conducted in English.